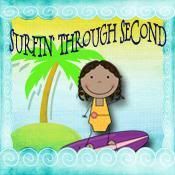 We have linked up with Corinna from Surfin' Through Second to share classroom theme ideas. I was so happy when my colleague and blogging friend, Stephany, sent me an email about this linky party. I have so many things to share about this topic. By the end of this post, maybe you can share some ideas with some spaces we are having difficulties with. 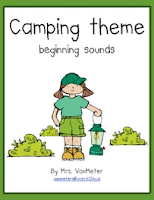 This year, I have decided to move away from the transportation theme (which I had for several years) and create a camping classroom for kinders. Here are a few pictures of what I have planned. I still have many photos to take of specific spaces, but this will give you an idea. 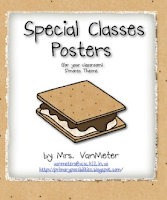 First, I purchased an amazing classroom decor packet from Randi (Teach It With Class). These are the numbers for the cubbies. This is included in Randi's classroom kit. Then, I created some things of my own . . . This pack includes clothes pin labels that are very useful when organizing those papers or "items to be done" for parent helpers or classroom aides. 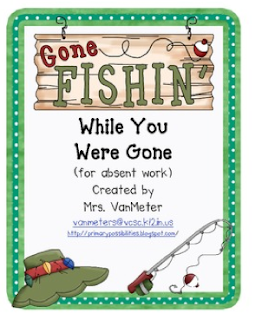 I created the next freebie as a way to organize absent work. 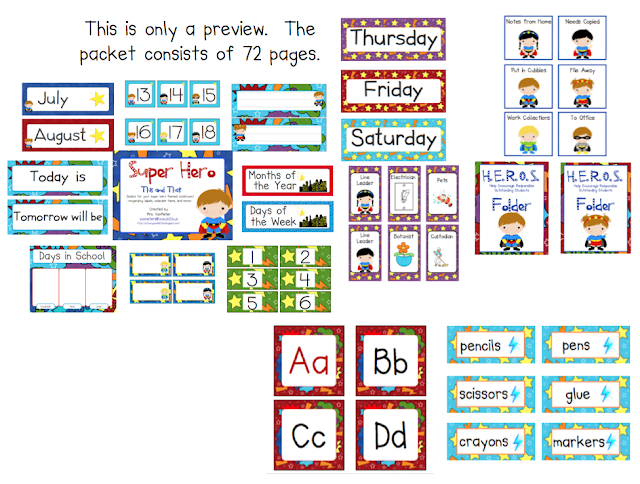 All of my products listed here are FREE downloads in my TpT store! Click any of the images above to link directly to the download. 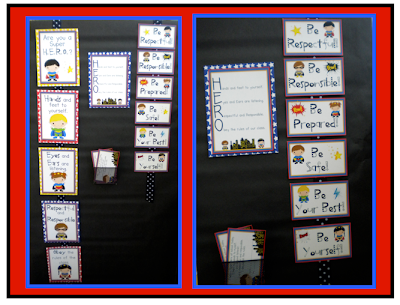 I will be posting more pictures of my classroom as I get my room together. 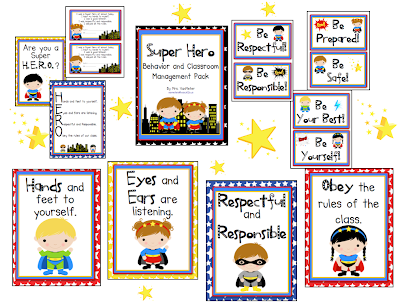 The next few products are some that I created for a Super Hero Classroom. I went back and forth with camping and super heroes. I decided on a camping theme, but I am still creating super heroes (for a few years from now). 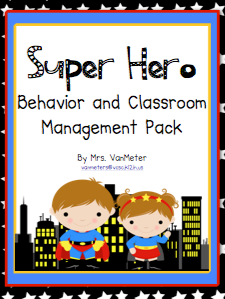 This pack is for Behavior Management. Here is a sample of what is included in the packet. 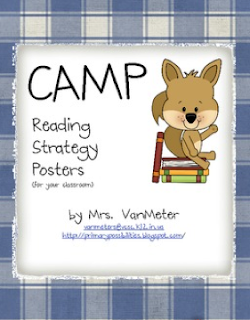 It is available for $3.00 in my TpT store. Click any of the photos to link you to the product. 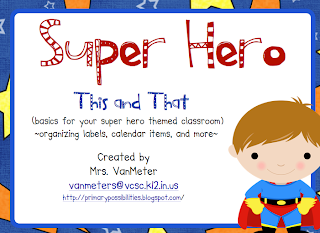 I also have a MEGA 72 page Super Hero Theme Classroom Kit for $5.00. Here are some previews of what is available in this product. This mega pack is currently $5.00. If you have any suggestions for my camping theme or super hero theme, I appreciate feedback and comments. I love the camping theme. I think if I weren't so obsessed with pirates, that would be my theme. Very cute! 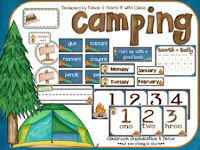 Love the camping theme! It is one of my families favorite things to do. I love your camping theme. I'm already thinking of that for next year! 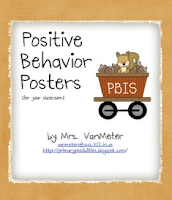 I love your PBIS posters. You have the same expectations that we do. Both of these themes are darling. I especially love the camping theme. Too cute! Your camping theme is so cute! I love the products you created! Thanks for sharing! 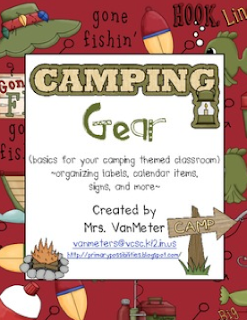 Thank you so much for sharing your camping theme materials. I'm also doing a camping theme. Love your work! 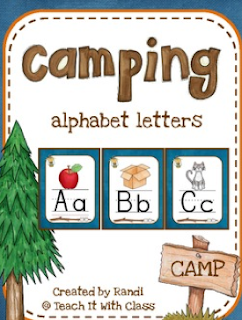 A camping theme is going to be adorable! Your super hero theme is super cute too. What will I do with my dramatic play kitchen set? Do you remember the 80's? 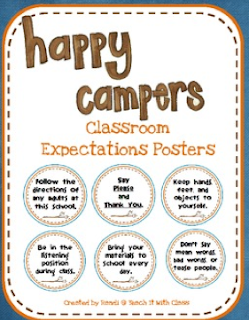 Teacher Toolbox and Monday Freebies! Sale Linky, Have a Heart & Currently! WoW!